Ferrari rental in Chicago now avaiable with Chicago Exotic Car Rentals. The Ferrari F430 is Ferrari's road going coupe. In terms of engineering, looks, and performance it is the best production Maranello has ever produced. Thanks to the exclusive know-how Ferrari has accumulated as a Formula 1 constructor, it is the most technologically advanced exotic car available today. 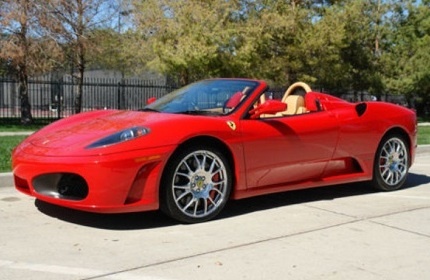 For Ferrari rentals in chicago, choose Chicago Exotic Car Rentals. All prices subject to change. Blackout dates may apply. Please see our rental policies for more information.